The black Cable Plate with Flexible Opening is used to install low voltage cables behind your flat panel TV, your amplifier or other audio video devices. 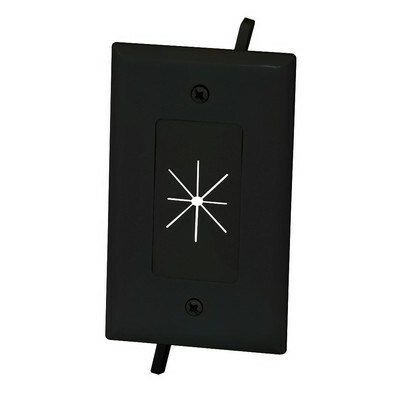 This Cable Plate allows you to pass low voltage cables through the wall, while keeping the opening in the wall covered. 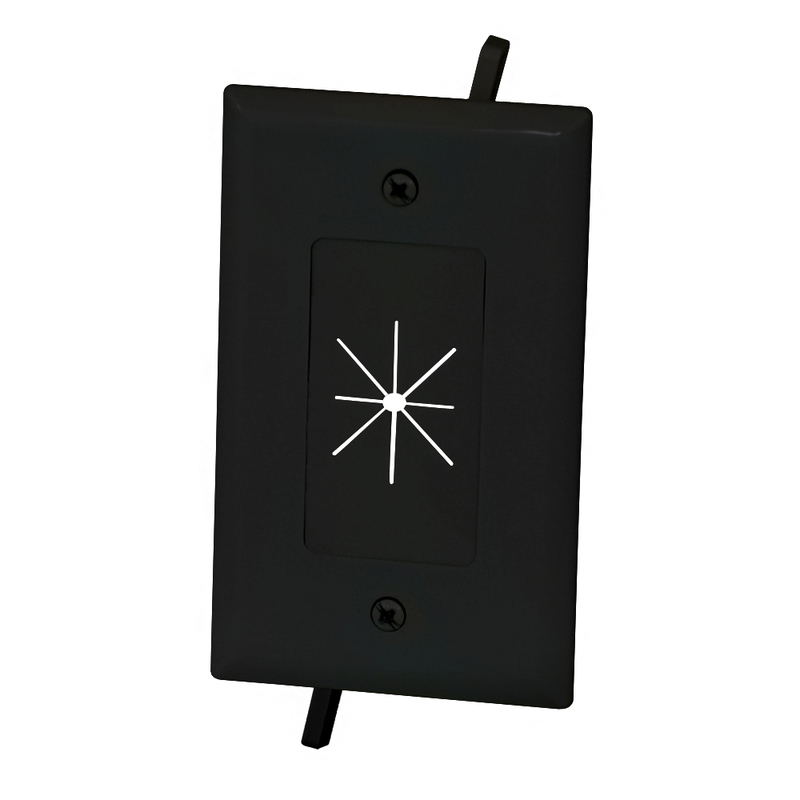 Mounting wings are molded into the media plate and fasten tightly against the back of the drywall, eliminating the need for a low voltage mounting bracket.